More than a third of career aspiring workers have job dissatisfaction, highlighting poor relationships with their managers as the main reason, and a lack of development opportunities. The research carried out among 1,400 members of the Institute of Leadership and Management, found that 34% are likely to move to another job this year. Poor relationships with management are a common theme in the survey’s findings. More than 29% said they felt undervalued by their managers and 42% of workers in their 40’s stated they were likely to leave their current job as they weren’t getting along well with their boss. This job dissatisfaction emphasises the fact that too many employees are looking for new jobs and therefore many organisations will miss out on talent they have already heavily invested in, which has a cost implication to the business. 74% of those surveyed believe that they could achieve more in their careers, and the start of a New Year often inspires self-reflection and a desire for change. 42% are planning to move on as they feel that there are other opportunities to further their career elsewhere. In conclusion, it has become apparent that businesses aren’t doing enough to encourage or develop existing talent, with 30% of workers aged 41-50 admitting they felt there was no opportunity for training and development in their current role. A third of this age group stated that they wouldn’t leave their job if the work was more challenging (36%). Women in their 40’s are most affected, as they’re the most likely to change jobs. The top reason for wanting to change jobs was promotion (45%), followed by feeling undervalued by their manager, needing a change (28%) and making no progress (27%). Communication – Do you take the time to have a conversation with your employees? A common complaint is that management don’t listen, but by making communication a priority your team will be able to address the issues they may be having or make suggestions for making improvements. Effective Management – Show your team you value their input by avoiding the urge to jump in and take over a task if you feel they are not doing it properly. Instead take the time to find out their planned approach and look at ways together to get the job done, working through any issues so they feel empowered and involved. Career Growth – Your people should be your biggest asset, ensure there are opportunities for advancement and promote from within. By giving extra responsibility, staff members will feel more fulfilled and part of the organisations long-term plans. Do your staff have training needs which aren’t being met? By investing in relevant training you will build on their existing skills and demonstrate that there is potential for career growth. By addressing these issues you will be working towards building a stronger, more motivated team. As the recent research has shown not only does job dissatisfaction have a negative impact on employees, but also the businesses. Contact our team of expert Employment Law Consultants for practical guidance about how to deal with employee job dissatisfaction or other HR issues you may be having. Workplace Bullying & Harassment: What’s the Difference? 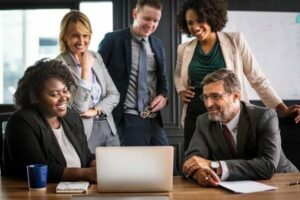 Key HR Trends for 2019 – Is Your Business Ready?